William H. Brown III has served as a mediator for the United States District Court for the Eastern District of Pennsylvania as well as an arbitrator for The American Arbitration Association. 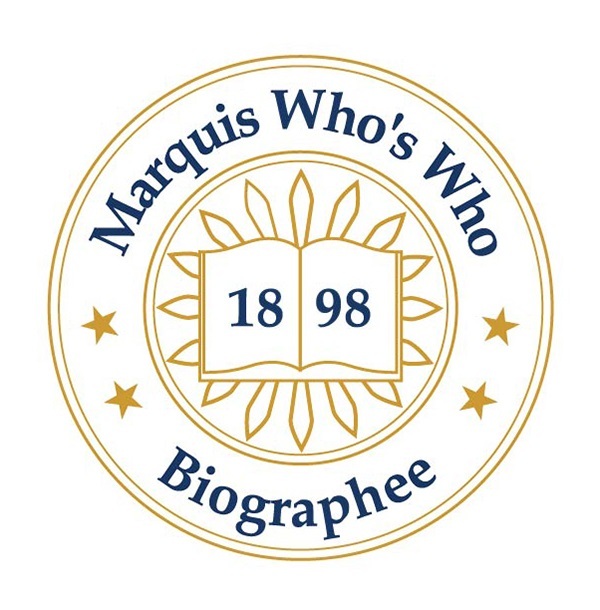 HAVERFORD, PA, September 19, 2018 — Marquis Who's Who, the world's premier publisher of biographical profiles, is proud to present William H. Brown III with the Albert Nelson Marquis Lifetime Achievement Award. An accomplished listee, William Brown III celebrates many years' experience in his professional network, and has been noted for achievements, leadership qualities, and the credentials and successes he has accrued in his field. As in all Marquis Who's Who biographical volumes, individuals profiled are selected on the basis of current reference value. Factors such as position, outstanding accomplishments, visibility, and prominence in a field are all taken into account during the selection process. With more than 60 years of professional excellence behind him he now serves as senior counsel with Schnader, Harrison Segal and Lewis having joined the firm as its first African American partner in January 1974, as well as an emeritus member of the board of directors of the Lawyers Committee for Civil Rights Under Law. After nearly three years of service in the U.S. Army Air Corp he earned a Bachelor of Science Degree from Temple University and a Doctor of Jurisprudence from the University of Pennsylvania. His early years in the profession were spent as an associate and later as a partner with the Norris Schmidt Green Harris and Higginbotham Law Firm; later he was a named partner in the firm of Norris Brown and Hall. He left the firm to join the Philadelphia District Attorney's Office, where he served as Chief of the Fraud Unit and as Deputy District Attorney. In 1968 he was appointed as a Commissioner in the Equal Employment Opportunity Commission by President Lyndon Johnson. He was later nominated to be a Commissioner for the Agency by President Richard Nixon and after being confirmed by the Senate was named the Chairman, a post he held until the end of 1973. During his tenure as Chairman he was responsible for many major achievements of the Commission. Mr. Brown is a member of the Pennsylvania and District of Columbia Bars. He has been admitted to all State Courts in Pennsylvania, The U.S. Supreme Court, the Federal District Court for the Eastern District of Pennsylvania as well as the U.S. Courts of Appeals for the Third, Fourth, Fifth, Eighth, and Tenth Circuits. He has litigated major matters throughout the country in both federal and state courts and the U.S. Virgin Islands. In 1975 he was appointed by then Mayor W. Wilson Goode to Chair the Philadelphia Special Investigation Commission. The Commission was established to review the facts and reports their findings, conclusions and recommendations to the Mayor and the citizens of Philadelphia regarding the police bombing and resulting fire of a row house that killed eleven occupants of the house including five children. His professional affiliations are numerous and include the Pennsylvania and Philadelphia Bar Associations, The Lawyers Committee for Civil Rights Under Law (served as co-chair), The International Academy of Trial Lawyers, Life Member of the American Law Institute, faculty member of the National Institute of Trial Lawyers, NAACP Legal Defense Fund, served as Judge Pro Tem of the Court of Common Pleas of Philadelphia, and for 20 years as a member of the Board of Directors of United Parcel Service. He has received numerous awards including, listed in The Best Lawyers in America for Employment Law (2001-2018), The Equal Employment Opportunity Commission's Champions of Equal Justice and the Commission's Spirit of Partnership Award, Schnader Harrison Segal and Lewis's Earl G. Harrison's Pro Bono Award, The Lawyers' Committee for Civil Rights Under Law Life Time Achievement and its Whitney North Seymour Awards, the University of Pennsylvania Law School's Alumni of Merit Award, Philadelphia Bar Association's Fidelity Award, the NAACP Legal Defense and Education Fund's William H. Hastie Award, The Tuskegee Airman Award and induction into the National Bar Association's Hall of Fame. Mr. Brown has served as a mediator for the United States District Court for the Eastern District of Pennsylvania as well as an arbitrator for The American Arbitration Association. In recognition of outstanding contributions to his profession and the Marquis Who's Who community, William H. Brown III has been featured on the Albert Nelson Marquis Lifetime Achievement website. Please visit www.ltachievers.com for more information about this honor.